And just like that, over 3,000 of the largest companies in the world are now eligible to start using Drupal 8 for their Investor Relations websites starting in January 2017. Nasdaq Corporate Solutions – the sector of Nasdaq that develops, hosts, and maintains Investor Relations websites for more than 4,000 companies – has recently announced that Drupal 8 will be the base for the next generation of Investor Relations website platforms. Drupal allows for seamless integration of high-quality content, as well as analytics, from the Nasdaq Investor Relations Insights. Any type of content can be presented with powerful, simple-to-use tools. Mobile responsiveness is vital to today’s websites. 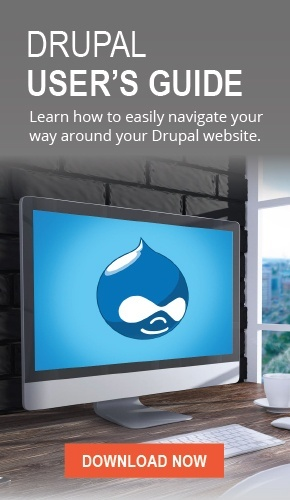 Drupal delivers a customizable and responsive design that improves all mobile experiences. The flexible design also includes the integration of advanced Search Engine Optimization (SEO) options, like meta tags. The self-publishing capabilities will give added control over content. The Drupal platform allows for unlimited content types (audio, video, image, text, etc.) and seamlessly retrieves and presents the content. Drupal also offers a robust variety of add-ons, such as in-place editing tools, modules, content creation tools, and even themes. Capabilities have increased for authentication and secure file transfers. Compared to competitors, Drupal offers tighter controls on content access and improved site security. Before this announcement, all Investor Relations websites were subject to strict compliance standards where reliability and security were stressed the most. Nasdaq’s use of Drupal 8 is huge testament to both Drupal and Open Source websites, and will surely raise Drupal’s awareness worldwide amongst financial institutions. Considering a website redesign? We offer intuitively-designed Drupal websites and a whole lot of experience creating and managing websites. Contact us today.